Home By Country Malaysia SGGS-DG Discourse: Another stumbling block towards Ekta of the Sikh panth? 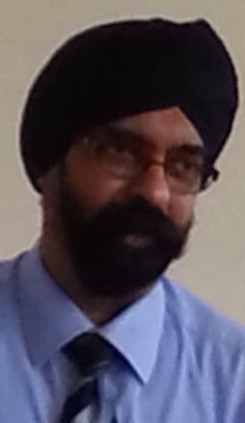 SGGS-DG Discourse: Another stumbling block towards Ekta of the Sikh panth? The burning question: What is the way out, short of going the infamous kafir-mengkafir path that happened in Malaysia not too many years ago? First and foremost, Gurfateh to all our Sikh learned brothers and sisters, and the rest of those who think they have less knowledge in Sikhi, like yours truly. I have to make my intention very clear. This opinion piece is not in support of any ‘camp’ or ‘group’ but hopefully in support of all of us, the Sikh panth, especially our Malaysian sanggat. I personally have nothing against any group or ‘camp’ with regards to the discourse, and sometimes argument, of Sri Guru Granth Sahib (SGGS) and Dasam Granth (DG). To the best of my observation, I only have admiration for our brothers and sisters who have so much knowledge and are able to put forth their opinions of the authenticity of DG or otherwise, backed with facts and references worthy of consideration. It is also heartening to see the debates and opinions expressed in the most civilised way that they all know of. Those with affiliation to support DG and those opposing DG are knowledgeable enough in Sikhi and they are arguing at a higher level of competence and proficiency. In fact, many of them are actually our learned parcharaks. So, I am clear to the fact that these brothers and sisters are a level higher in their understanding of Sikhi. This is definitely a given as how would you otherwise even discuss intellectually about SGGS-DG? We have seen the discussion, and sometimes argument, on this matter perhaps the most part of this year – be it at Asia Samachar, Facebook or other media. There have even been special congregation to make the sanggat understand about DG, in particular, as there is no shortage of parchaar (preaching) all these years on SGGS. In fact, I personally have only known about parchaar on SGGS. There might have been those from DG which I would not have realised. But yes, we do certain banis from DG as an age old religious tradition with the endorsement of the banis in the Sikh Reht Maryada (SRM). SEE ALSO: EKTA: A distant dream amongst Sikh organisations in Malaysia? To be honest, I am even so careful about what I write here, given my very little knowledge. I do not want to unwittingly offend anyone as we are one panth. I am sure the adage that no knowledge is better than little knowledge is relevant to me as more danger looms when the little knowledge is used to put forth important facts about Sikhi. So, may I humbly take the position of not having knowledge at all. Let us now look into the effect of the SGGS-DG discourse. I hate to use ‘camp’ or ‘group’ as it denotes division in the panth. So, let’s just regard the ‘camp’ I use in this piece as ‘affiliation’. I know there is affiliation but not necessarily different camps as all those who are in discussion are actually well known to each other. I have seen the discussion as an intellectual one and I am learning a fair bit from both sides of the perceived divide. But that is because I am reading what is posted and taking the views from both sides. What about the majority of our brothers and sisters who only hear about this and perhaps have the constrain of really going through the discussions and weighing in on the knowledge therein? They only hear from the more informed ones, so to speak. I have also spoken to some learned brothers and sisters but cannot help but notice that most are affiliated to one side or the other. For instance, If I speak to someone who is a friend and he regards the DG as authentic, or otherwise, then I too could just decide that what he says is correct and slowly get into his side of the stand. Is it then possible that those who are not well balanced or informed of the opposing opinions will eventually get admitted into one camp or the other, albeit without even realising it? Is there then a possibility that we will eventually have real camps? Will this infiltrate into gurdwara committees and create argument about affiliation to either side? Where will this end? Or is this just my imagination and I am just being pessimistic as I got up from the wrong side of the bed today? If not contained could this create, as in one brother’s words, a split and division in the panth akin to the Sunni-Syiah denominations? Or am I just exaggerating things out of proportion and all is and will always be well with the panth? Enough of my pessimistic imagination. Where do we go from here? Let me share a little of the recent development for the benefit of those who did not really follow this discourse. The MGC issued a circular to gurdwaras dated 12 July 2016 entitled ‘(i) Unity of Malaysian Gurdwaras and Sanggat (ii) Ek Granth, Ek Panth, Ek Rehat Maryada’ and urged all Gurdwaras to adhere to SRM and not to permit preaching or reciting of DG ‘Bani’ in a gurdwara, other than the three Panthic-approved banis of Jaap, 10 Sawayyas and Benti Chaupai. The MGC decision was arrived at after some consultation and discussion with some of the main Sikh organisations. The circular also noted the recent press note issued by Sri Akal Takht Jathedar Giani Gurbachan Singh, dated 16/06/2016, which states that the Sikh Rehat Maryada is the result of the decision of the Sikh Panth and must be followed by all, with any non-acceptance of the SRM may make the person Panth Drohi (someone who goes against the Panth). Just a few days ago, we have seen two videos (part 1 and 2) uploaded on 31 July 2016 on Youtube by SGGS Academy [see here]. These videos have also gone viral on Facebook and Whatsapp. In these videos which were shot at Gurdwara Lakhi Jungle on 30 July, Jathedars from the main takhats have endorsed DG as being wholly the bani of Sri Guru Gobind Singh Ji. The ‘directive from Sikh Panth’s supreme authority’ also notably mentions that those who question the position of DG are Panth Virodhi (opponents of the Panth) and Panth Dhoki (inimical of the Panth). Of course, both the circular by MGC and the ‘directive’ through the videos have been outrightly rejected by members of the opposing stand. I don’t think I need to go into the details of why each party rejects the proof to their opposite side’s claims. What is quite notable in both these advisories and ‘directives’ or ‘statements’ is that most of our beloved and respected Sikh scholars have now been reduced to either panth virodhi, panth dhoki or panth drohi. It has simply covered members of both divide. As shocking as it may seem, this is where we have arrived at the moment. What does that leave us with? Who are then the good guys of the panth? This is nothing short of the infamous kafir-mengkafir (labelling as infidels) by the Muslim political parties as we have seen over the years. Of course, we have not yet reached the stage of declaring each other non-Sikhs but God forbids if this discourse is allowed to get out of hand. The burning question now is: Is there a possible way or solution out for us, at least for our Malaysian sanggat? For the sake of ekta (unity), we should perhaps put aside the affiliations for a bit and try to think of the best way which will bring the greatest good for all – sarbat da bhala. In resolving conflict, we normally utilise either one of the five styles – competing, accommodating, avoiding, compromising, and collaborating. Lets apply that to the current situation. In competing, both sides are adamant about their side of the truth and it can easily turn aggressive because none of the parties is willing to give up. I think it is fair to say that we are seeing that now. In accommodating, which is also known as smoothing, one side is diplomatic to the other to the extent that the opposing side is allowed to have their way. Looks like this style is near impossible going by the intense debate on both sides and due to this being a matter of religion and the right to defend its sanctity. Avoiding is also another style which is used successfully whereby both parties go on with their own convictions but stay away from each other’s course. This is simply to avoid collision but the issue remains and it depends on how much each side contains it. Then we have the compromising style and this involves some trade offs from both sides. Of course this style despite being used for conflict resolution often leaves the parties not satisfied. It’s akin to agreeing to disagree. But this style is needed when the prolong dispute may result in irreversible damage. Finally we have the collaborating style where both sides come together and work towards a common goal – usually bigger than the bone of contention they are embroiled in. So, what style do we use in this discourse? The telling answer should come from both sides I suppose. Only we can decide where we want to take this discourse to and at what price with regards to unity and the panth. Is there any possibility of the many scholars from both sides to sit together to reach a solution? Is there a possibility to stop reducing our beloved brothers and sisters to the level of panth virodhi, panth dhoki and panth drohi? These are our gems, our reference and the future of our children in Sikhi as far as I am concerned and I am sure many like me will share the same sentiments. There is a sense of so much distrust in this escalating discourse that it seems like a zero-sum game. Each side blames the other of bias and unscrupulous references utilised in desperation. Is it that difficult to sit and talk about this discourse beyond the media and cyberspace? Lots of misunderstanding can simply stem from the mere use of words and differences in the intention and perception of the sender and receiver. I suppose all of the scholars are BIG enough to be able to sit and sort things out in the very tenet of our Sikhi way of conference. We have seen with utter sadness how things get out of hand and aggression flares in Gurdwaras in some countries and how the sanctity of the SGGS is compromised with fist fights and our brothers flinging with their dastaars flying all in the presence of Guru Ji in the darbaar sahib. Yes, that is a very extreme imagination some of you may say as our brothers and sisters are still in good controlled conduct but can things get out of hand with one mere person losing it someday? Is there an opportunity for all the scholars to sit and think about this issue and the hidden hands, if any, behind this disunity of Sikh panth? I don’t know if there are going to be any winners but this discourse if left unchecked is potentially damaging and the panth stands to lose. An eye for an eye will leave us all blind! This is perhaps also a test on how united we are in tackling hard pressing and highly controversial issues such as this. At the same time many of our brothers and sisters are out there looking for a better way of ensuring our Sikhs do not wander off the faith and sleep without having any food on their plates. Pressing issues on poverty of our very own brothers and sisters out there are aplenty. Many need proper guidance to walk on the path of Sikhi. Of course this discourse can go on and progress in Sikhi we must but with the grace of agreeing to an amicable solution we could then put all our energy together for the sake of our generation and our children. Regard this as a humble benti from many of us to our most learned elders, brothers and sisters. May Waheguru ji show us the graceful way forward and grant us ekta. Dera based, dera manufactured one track minds similar to the madrassa manufactured talibans are hell bent on imposing their dera maryadas on all. There can be no turning back – its a cut and dried situation because if you are not with them..then you are against them – no room for compromise. They never compromised on the Manglacharan position even though handwritten Birs show clear proof that Guru Ji always gave prominence to the Mool mantr by keeping it at the Top Right Hand of the page..the Complete Mool mantar is written in FULL 30 times in SGGS..but they maintain its up to Nanak Hoisee bhee sach and have resorted to REMOVING the pesky dandees Guru ji Placed in fornt of and at the back of the TITLE [[ JP ]] clearly segregating it and showing that its NOT part of the preceeding Mool mantar which ends at Gurparsaad. They insist on keeping red cloths, coconuts, ghee lamps, doing aartee by singing the very shbads that Guru ji wrote to Condemn it, throwing flowers also clearly in violation of patee patee jeeo shabad,they insist on saying Raagmala is Gurbani when its clearly left OUTSIDE the SGGS and comes AFTER BLANK PAGES in the Kartarpuree Bir seen by Jodh Singh and is evidently proven to be LIFTED from a Hindu love story poem by some madhav nall in the Mughal Court..they insist on having huge photos of dead sants at equal status in the palki of SGGS or in the Gurus Darbaar..they have several types of ritualised paaths, etc etc etc….and with the sgpc akal takhat under their control they managed to murder the authentic Nanakshai Calendar whcih gave Sikhs an independent Calendar free of Benares Jantree control…Sikhs have arrived at a crossroads…ahead lie SGGS or multiple granths…the choice is ours. Decisions were made based upon JUGO JUG ATAL GURU GRANTHS guidance.There is NO coming back to any drawing room over matters decided, there is simply no room to appease the oxymorons or munna boys from deras or with personal deluded egos. A tin of can has to be called a tin of can, sometimes, when dead cow intelligence is displayed from one side. Some issues may be improved,given some changes, but others will remain so, as the Gurbani cannot be bent to suit obstinates-the Gurbani was same 80 years, 250 years ago and today. Only false books, pothas changed names 8 times, others got burnt to hide evidence and ego’d men re wrote their own BS, taking out the Guru writings that they claimed they were “correcting” . by the way, in mental health delusional ego with grandiose ideation is an illness.One does not have to be ill, to have this syndrome. Since the early 1990s some Malaysian Sikhs led by deras have been bent on not following the SRM. Anything that may be said will not bring a change in them. The writer have mentioned many styles to avert a conflict. In fact this was how the SRM was decided some 80 years ago. Now we are back to the drawing board because in Sikhi deras now rule supreme.